The 5th Annual BC Beer Awards & Festival is coming to the Croatian Cultural Centre, 3250 Commercial Drive, on Saturday, October 25th. The BC Beer Awards showcases the best of locally made beer with education classes, tastings and an awards ceremony which is being hosted by CBC’s Stephen Quinn. BC’s best breweries will be on hand showcasing what they do best. This is a popular and eagerly anticipated event for brewers and beer fan and as such recommend you purchase your tickets early to avoid disappointment. As part of the Festival, there will also be 4 education classes on the subjects of Hops, History of Beer, Malts and Off Flavours. Tickets for these events are $15 and again early ticket purchase is recommended. Food for this event will be provided by Biercraft, the Croatian Cultural Centre and some local food trucks will also be hand to feed the masses that will sure to be in attendance. Organizers are encouraging everyone to bring a non-perishable item for the Greater Vancouver Food Bank. They will be collecting donations at the door. Early bird ticket sales are under way for $27 each with prices going up to $32 on October 10th. Each ticket includes 4 drink tokens as well as a 4 oz taster glass for you to take home. Note, additional tokens are available for purchase for $1.25 each. 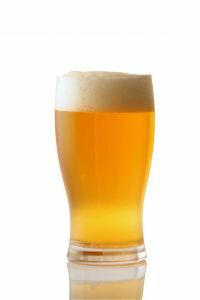 To purchase your tickets for the BC Beer Awards as well as the education classes visit Eventbrite. The Strathcona Business Improvement Association is inviting proposals from artists to paint concrete planters that form a part of the Hastings North Urban Tree Nursery. The Strathcona BIA recently installed the Hastings Urban Tree Nursery which consist of a series of concrete planters housing young trees. The trees will be under the care of local businesses until ready for transplantation to permanent locations. The tree nursery will benefit the local community in many ways including supporting the local economy, providing new skills training for community members and providing an otherwise concrete landscape with beauty, shade, and new insect and bird habitat. Five artists will be chosen by the Strathcona BIA and each of the artists will be commissioned to paint the planters on one city block. Each artist will receive a base stipend of $300 plus an additional $200 for each planter painted. 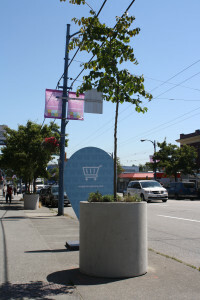 The concrete planters are located between 300 East Hastings Street and 700 East Hastings Street. Strathcona BIA will provide paint materials up to a maximum of $100 per planter. After the artists have completed their work, the planters will be coated with a clear product to protect against graffiti damage. The deadline for submissions is Monday, September 8th at 4:00 pm. For more information you can contact the Strathcona BIA at info@strathconabia.com. To view the submission guidelines, visit Strathcona BIA Job Postings. You are invited to Metamorfest, 800 East Broadway, on Saturday, September 27th from Noon – 6:00 pm. 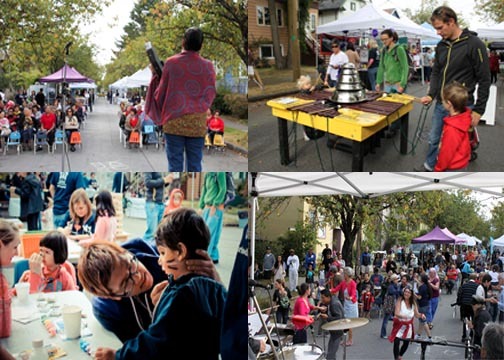 This is an annual community festival that celebrates the diverse Mount Pleasant community. They will showcase all the best aspects of this neighbourhood including the local businesses and organizations that strive to make this a great neighbourhood. The festival will take place on two street blocks: one north of East Broadway on Fraser Street to Sahalli Park and one south of East Broadway on Prince Albert Street. Connecting the two streets on East Broadway will be an art walk brought to you by the Broadway East Art Walk. The Mount Pleasant Neighbourhood House will also be hosting activities inside their building on the corner of Broadway and Prince Albert Street. Likewise, the Broadway Youth Resource Centre and Vancouver Native Housing will do so in their brand new building on the corner of Broadway and Fraser. Metamorfest will have live music on 3 different stages, an art walk, and many activities and booths for children, seniors, and everyone in between. Organizations and businesses have booked booths that will line each of the streets. Each booth will also have an activity to go along with it. There will also be a Silent Auction going on throughout the event which include some fantastic donations. Or you can come and enjoy a workshop on Zumba and Laughter Yoga or just check out all the great things that Mount Pleasant has to offer as you wander the streets and listen to great local artists and bands. For those that get hungry, there will be a couple of food trucks on hand on day as well as a BBQ provided by Buy-Low Foods. Everyone is welcome to attend this free event that is fun for all ages. You are invited to come out for yoga, beer, brunch and to social at 33 Acres Brewing Company, 15 West 8th Avenue, starting Sunday, September 14th. Anita Cheung will be leading the yoga class with ‘flow yoga’. After class, you get to sit down for brunch and a beer all of which is included in the price. Brunch will consist of waffles or an avocado smash. If you prefer coffee, it will be available. Classes start at 9:00 am and will run for 1 1/2 hours every Sunday for 4 weeks. Cost for all 4 yoga classes is $100 which includes brunch, beer and/or coffee. To register online for the class, visit 33 Acres Brewing Company. This Saturday you are invited to come out to the Trout Lake Farmers Market and celebrate tomatoes! Vancouver Farmers Market will be showcasing the diversity of tomatoes grown by local farmers with over 150 varieties on hand. You will be able to find all sorts of shapes, colours, sizes, heirlooms, hybrids, organic, greenhouse and conventional. You can expect to find a tomato display, recipes, information as well as a tasting station with samples of Black Krim, Green Zebra, Taxi, Brandywine and many more. This year, they will also be celebrating the sweeter side of tomatoes in honour of award-winning gelatiere, James Coleridge from Bella Gelateria. James will be crafting a tomato basil gelato from Sole Food Street Farms tomatoes and Earth Apple Farm basil. This limited edition gelato will be available at the Trout Lake Farmers Market this Saturday until it is sold out. Proceeds go to help support farmers markets in Vancouver. 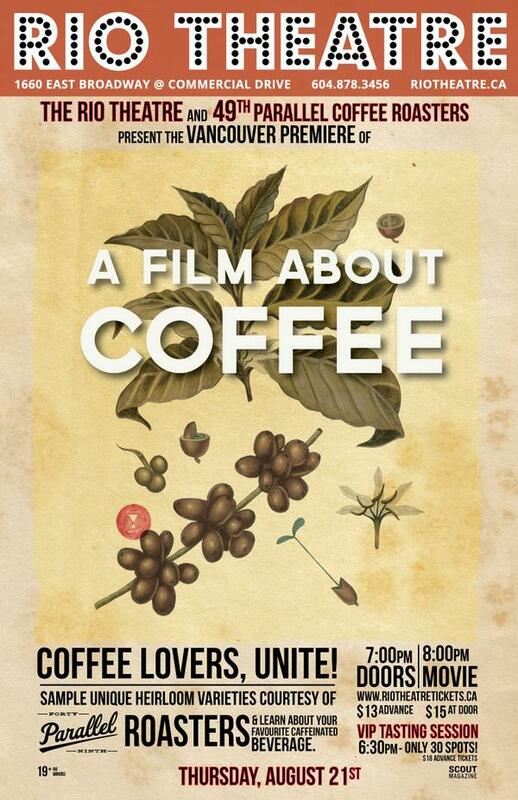 The Tomato Festival kicks off when the market starts at 9:00 a.m. and runs to 2:00 p.m.
All coffee lovers you are invited to the Rio Theatre this Thursday, August 21st for the Vancouver premiere of the documentary a Film About Coffee. The film examines what defines specialty coffee and takes audiences around the world from farms in Honduras and Rwanda to coffee shops in Tokyo, Portland, Seattle, San Francisco and New York. You will see coffee through the eyes and experiences of farmers and baristas. The film offers an overview of all elements including processes, preferences and preparations as well as traditions old and new to create the best cup of Joe. This Thursday’s premiere is being brought to you by the Rio Theatre and Parallel 49 Roasters. For those wishing to taste as well, there is a VIP Tasting Session at 6:30 with limited spots available and $18 tickets. Doors open for the film at 7:00 pm and shows at 8:00 pm. Tickets are $13 in advance or $15 at the door. There are many more events and activities planned. For full details, visit the PNE’s website. There are some special promotions to keep in mind whether you wish to participate in them, or alternatively steer clear of those days as promotional days are busy. Tues. Aug. 19th – FREE gate admission for ALL guests 11:00 am – 1:00 pm ONLY. Thurs. Aug. 21st – FREE gate admission for seniors 65+ from 11:00 am – 1:00 pm. Wed. Aug. 27th – VanCity members and a friend receive $5 gate admission. Twilight Ride Pass – Save $13 on the price of a Ride Pass when you purchase a Twilight Ride Pass Tuesday through Thursday after 5:00 pm. If you and your family are looking to partake in the rides at the PNE, you may wish to consider purchasing passes online, as savings range from $2 – 5 per pass. Note, the Fair at the PNE is closed Monday, August 16th and Monday, August 25th.